Clyde David McManus, 86, of Liberty passed away on Wednesday, August 23, 2017 at his home. 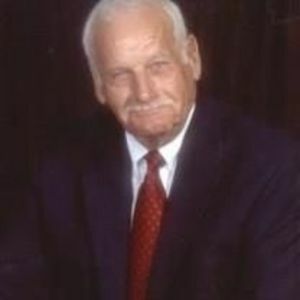 He was a US Army veteran of the Korean Conflict and was a career law enforcement officer serving the Guilford County Sheriff's Department and the Greensboro and High Point ABC Boards. He is Past-President of the Sumner Civitans and was a member of Grays Chapel United Methodist Church. A funeral service will be held on Saturday, August 26, 2017 at 10:00 a.m. at Grays Chapel United Methodist Church. The burial will follow in the church cemetery. The family will receive friends after the service in the church fellowship hall. Clyde was the son of the late Alta Hardin and Norman Floyd McManus and was also preceded in death by sisters, Lois and Maxine McManus and brother, Cambridge McManus. Surviving are his sons, Eric McManus (Cynthia) of Liberty and Randy McManus of Greensboro; grandchildren, Clayton McManus and Courtney Williams; great-granddaughter, Cambridge McManus; sisters, Mary Wilkins, and Martha McManus; and long time companion, Lonna Hart. 27248 or Hospice and Palliative Care of Greensboro, 2500 Summit Avenue, Greensboro, NC 27405. Loflin Funeral Home of Liberty is honored to serve the McManus family.